Dell Philippines has just officially unveiled the new Dell XPS 13, the world’s smallest and most powerful 13-inch laptop. The 2018 version of the XPS 13 is equipped with an InfinityEdge 4K Ultra HD display with screen to body ratio of around 80%. The sides and top bezels are just about 4mm thin, but the lower part is quite bigger where it houses the webcam. Just like the previous generation, the XPS 13 2018 is still equipped with a metal frame with handcrafted finishes for a premium feel. Dell offers a number of customizable options for the screen depending on the preference of the customer, including a regular non-touch 1080p screen, 1080p touch display, and the 4K touch display. In particular, the 4K screen has the highest display quality with 100% sRGB colour, while in the 1080p version, it is only 72%. The screen is equipped with IPS panels for 178 degrees viewing angle, along with Corning Gorilla Glass 4 that has an anti-reflective and anti-blur coating for the touchscreen version. SEE ALSO: New Dell 5000, 7000 Latitude Laptop Series Arrive in PH! 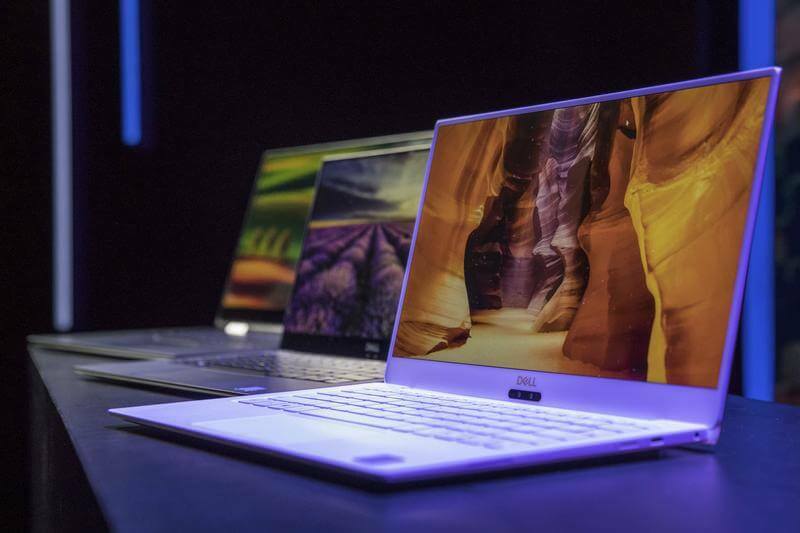 The new Dell XPS 13 (9370) is equipped with up to 16GB of RAM, and up to 1TB SSD for high-quality performance. Apart from the war games and professional video editing applications, most of the common tasks, including the need for heavy photo editing is not a problem. The processor is also upgraded to the latest 8th generation chip Intel with the new Dell Power Manager that gives users the choice between performance or cool, quiet (reduced fan heat dissipation performance or the GORE Thermal Insulation). It is also equipped with UHD Graphics 620 graphics card. The 52Wh battery lasts for up to 20 hours, which is an impressive number. Lastly, it comes with Windows Hello app that allows the users to unlock with face recognition. In addition, the built-in fingerprint reader technology helps a user to log-in with just one click. The new Dell XPS 13 is now officially available for sale across all Dell concept stores nationwide, starting at Php99,990.